SkyShop Online - Jeppesen Garmin Lowrance AvMap Airservices Aircraft Spruce Bob Tait Aviation Theory Skylines Coolangatta Queensland David Clark Bose FlightCom - EMPRUM ULTIMATE GPS FOR IPAD/IPOD/IPHONE. Also works with your Mac/Windows/Linux laptop or desktop computer. 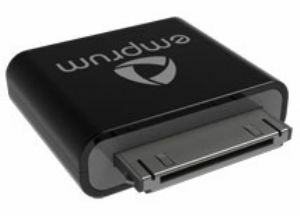 The Ultimate GPS turns your iPod touch, iPhone, iPad or computer into a state-of-the-art GPS receiver. Use it in your plane, in your car, on your bike, or on your boat. Use it for flying, geocaching, hiking, golfing, cycling, running or any other outdoor activity you can think of. Comes with the free UltiMate GPS App, available on the App Store, giving you full control of your accessory. Works with most protective case, vehicle mounts and other fixtures. Also works with your Mac/Windows/Linux laptop or desktop computer. 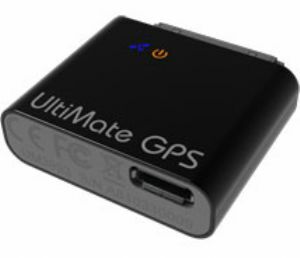 Your UltiMate GPS accessory outputs standard GPS NMEA protocol sentences to a USB port on your computer which can then be used by navigation software installed on your computer.